Can be found on the hills above the Dark Portal. In order to get this pet you have to be in the old Blasted Lands (before Iron Horde invasion). Talk to Zidormi at [48,2-7,2] to change the appearance of the zone. Flying is a must have here. I found several on the cliffs above and behind the Dark Portal, no rares, but several Uncommons. I took Squirtgun's advice; revert the Blasted Lands back to its original state by talking to the NPC on the hill to the right of the path from the Swamp Of Sorrows. There were loads of Scorplings after I did this. Thanks! Thank you so much Squirtgun! I was trying all the spots it said to look but hadn't reverted it back to pre WOD, as soon as I made it old school the scorplings were everywhere! I had built a DK on the Anum'thul Realm (Oceanic Realm) just to capture a Minfernal (caught 3). I was having the same issues with the Scorpling so headed over to the Blasted Land and found one. Was almost horrified when I killed a lovely S/S one which I thought was the only one in the area but found 3 more B/B uncommon. I grabbed one just to have it for my Safari but hope to get the S/S since this looks like one I'd like to use in battle after I upgrade to Rare. As of 6.0.2 for those of you trying to get this pet the iron horde has messed it up and you will NOT get it to spawn. How ever, if you come along the path from Swamp of Sorrows... Just as the ground turns orange and you enter Blasted lands look to your right there is a human NPC standing on a hill. 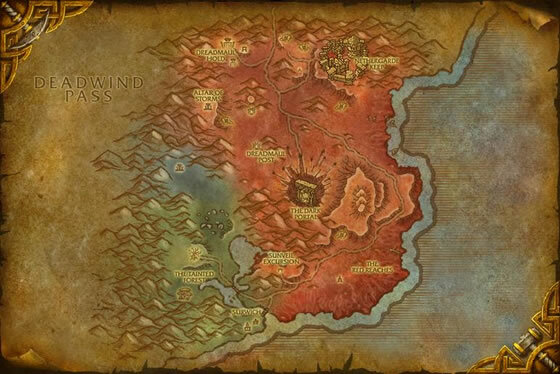 Talk to her and you can convert Blasted Lands back to the way it used to be before Iron Horde. I was then able to get it no problems what so ever! so far when ever i'm in that area fighting the grand trainer lady in deadwind pass I scope out the scproidling for fun since I've yet to catch a rare. I usualy see 2 or 3 there but after that they don't seem to spawn in for an hour or more later. kind of like the arcane eye's and I've been hunting both these 2 pets for a while now. I just confirmed, as of patch 4.8, that capturing a Scorpling at the Dark Portal does count towards Kalmidor Safari acheivement. I had to fly around the top of the rim behind the portal for a few minutes before I saw a paw appear at the outer edge. Well i want to say i follow everyones advice, flew in circles killing every pet in the area, in 3 diff servers, i even went to low populated servers and found none, i gave up around 12:50 midnight (Moonrunner server) server time. Decided to go back to my original server (Zul'jin) to a char i had left in this area, i was ready to go look for another one whe i decided to give it one more look and Boom it was on top of the cave and luckly me, it was a rare!!! so i would sugest trying after midnght. Kind of difficult to get hold of, and annoyingly comes in many breeds. 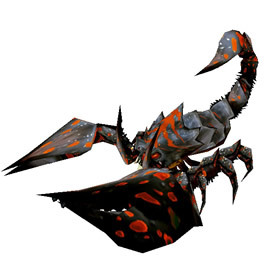 This has the S/S breed which is top speed Scorpion at 325. This speed will make Crouch very useful, Screech less so except against certain pets. Still weak attacks in slot one, triple snap is chancy and Snap does not hit very hard and can still miss. Rampage is ok, when you got crouch up. Sting has its uses, remember the poison ticks are elemental and as such strong against mechanicals. Still Scorpions feel kind of generic. I was one of the lucky ones, I found a rare on my first try. It was right above the cave. I only went and battled a few pets and on my circling back to the area it was there. Circled around the Dark Portal not finding anything but then went up behind the portal I found about 5 (4 poor 1 common) so not seeing anymore I trapped the common figured I can either try later for a better quality or use a stone to upgrade. Did count for my Easter Kingdoms Safari. I turned up and there were no Scorpling to be seen. I took the advice in the comments and did a big circle killing all battle pets (if they weren't rare quality I'd forfeit then just one shot them). I focused on the forest and did a quick circle of the rest of the area and went back and I found one! (one only and was normal/white quality). I can confirm that today I trapped a common (white) lvl 17 Scorpling above the Dark Portal, and it counted towards my Kalimdor Safari achievement. Despite its snapping claws and venom-dripping tail, it is the bite of the diminutive scorpling that is the greatest threat.